Britain's next prime minister is promising to get tough on "irresponsible" big business, and ease up on austerity. Theresa May, who will succeed David Cameron as U.K. leader on Wednesday, says last month's vote to leave the European Union was also a demand for an economy that doesn't just work for the 1%. "We need to make sure our economy works for everyone, because it is apparent to anybody who is in touch with the real world that people do not feel it works that way at all," she said in a speech Monday. 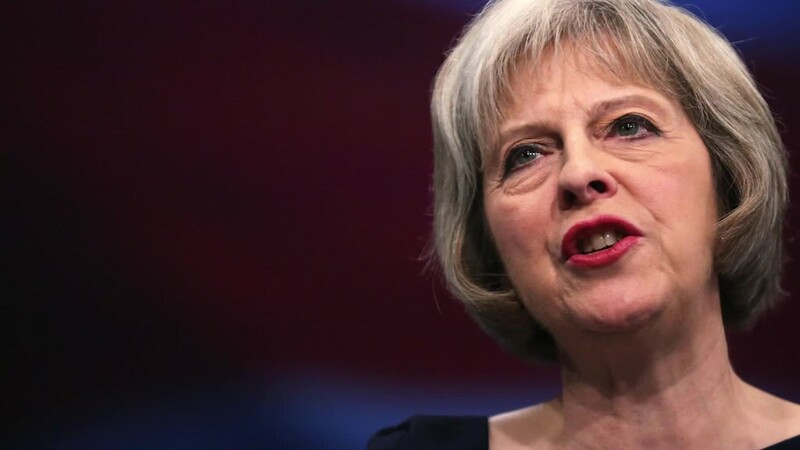 May said she would give workers and consumers, as well as shareholders, representation on the boards of big companies. And annual shareholder votes on executive pay at big companies would be binding, not just advisory. "There is an unhealthy and growing gap between what these companies pay their workers and what they pay their bosses," she said. The Conservative politician has been a senior member of Cameron's government for six years. She defended its record on tackling the budget deficit and on reviving the economy after the global financial crisis. The U.K. economy has been one of the strongest in the developed world in recent years, enjoying faster growth than other G7 members. It also created millions of jobs -- unemployment fell to 5% in June, its lowest since 2005. And while income inequality has also fallen slightly since 2007, it remains way above levels seen in the early 1980s. Real wages have stagnated, and housing costs -- prices and rents -- have soared. Too many people still feel as if they're missing out, May said, and that was reflected in the Brexit vote on June 23. A poll of 12,369 people carried out that day suggested professionals and managers backed staying in the EU, while unskilled workers and the unemployed voted to leave. That poll, and a separate survey by YouGov, found that graduates were likely to vote remain, while those whose education ended at high school were likely to back Brexit. "There is a growing divide between a more prosperous older generation and a struggling younger generation," May said. "And there is a gaping chasm between wealthy London and the rest of the country." Related: London pays U.K. bills but for how much longer? Announcing her candidacy to succeed Cameron two weeks ago, May signaled a retreat from years of austerity that some have blamed for widening the divisions in British society. She said Britain should borrow more to avoid new tax hikes. Days later, Treasury chief George Osborne abandoned his target to deliver a budget surplus by 2020. The most recent British Social Attitudes Survey found that Britain is deeply divided along class lines, and that the recent period of austerity has affected how people view society. "We are less likely now to think it possible to move between social classes than in the past, reflecting, perhaps, the fact that social mobility is not what it once was," the authors wrote. May did not talk about tax rises or spending cuts on Monday, but set out specific proposals for tackling what she called "irresponsible behavior in big business." Company boards were often failing to hold senior management teams to account because the non-executive directors are often drawn from the same social and professional circles. "If I'm prime minister, we're going to change that," she said. Worker representation on big company boards is long established in some European countries, notably Germany where it has been credited with reducing labor disputes and helping it succeed as a manufacturing powerhouse. In addition to forcing binding annual shareholder votes on pay, May said she wanted companies to publish detailed bonus targets and the ratio between the CEO's pay and what the average company worker makes. The backlash over big pay deals has grown this year, with investors questioning the discrepancy between lower returns and rising salaries. They're also worried by the growing gap between average pay and salaries at the top. The Executive Remuneration Working Group, set up by the Investment Association last year, has described the current approach to executive pay in U.K. listed companies as "not fit for purpose." A group representing small shareholders said earlier this year that annual bonuses for the CEOs of Britain's biggest companies should be capped at 100% of salary, compared to the 200% currently common.